Germany uses the potential of data based services and intelligent networks rudimentally yet. Especially the manufacturers and service providers in the agricultural sector have to operate with different customer types. A large number of participants are involved throughout the whole production process. The collaboration across companies can be improved by using information and communication technologies. 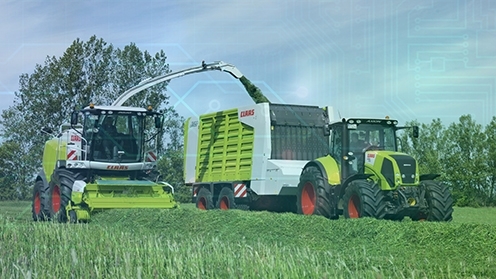 The modern agriculture is already charakterized by a high level of connectivity and is an ideal starting point for further developments towards a total connected agriculture. The platform connects fields and machines among each other and integrates external data sources like weather data. The platform aggregates and analyzes incoming data and is the basis for new services like optimized fertilization or harvest strategies. The platform optimizes the whole productions process, improves the productivity and leads to a reduced ressource usage.